5 Bedroom Detached House For Sale in Milton Keynes for £550,000. 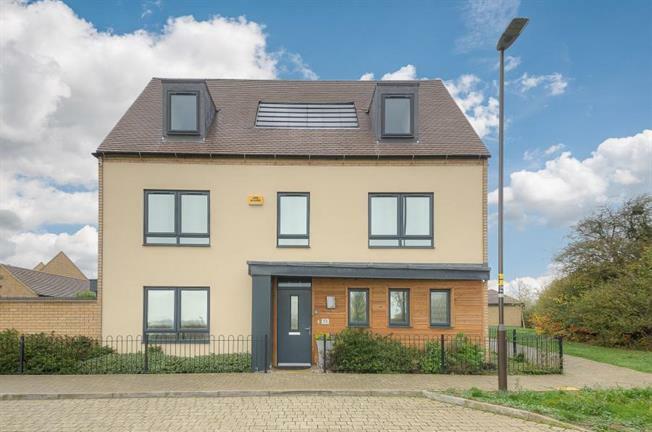 A spacious five bedroom detached home available for sale in the modern development of Tattenhoe Park. This very well presented property offers a wealth of generously proportioned rooms whilst boasting an oversized garage with off road parking, gas to radiator central heating, double glazing throughout and gardens at the front and side. Additionally, Tattenhoe Park is situated within catchment to some of the most highly regarded schooling in the area. The ground floor comprises entrance hall, office area, downstairs cloakroom, lounge, kitchen/diner, utility room. On the first floor there is a large master bedroom with fitted wardrobes and en-suite, two further double bedrooms and a family bathroom; and on the second floor there are two further large double bedrooms and a shower room.